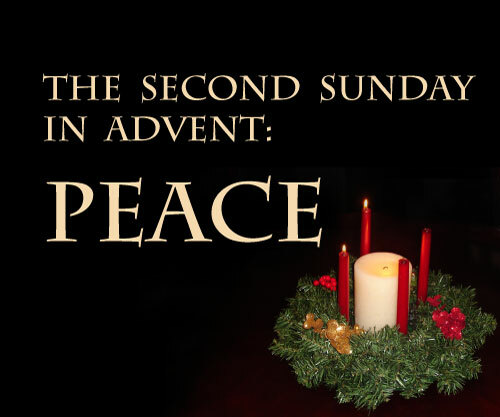 SECOND SUNDAY OF ADVENT: The 2nd Advent candle of PEACE will be lit in worship as the journey from Nazareth to Bethlehem continues with the children present and for all in the community of prayer and praise. A special visitor will have some words and message for all gathered. Psalm 2, Isaiah ll:1-10, romans 15:4-13 and Matthew 3:1-12 will shape our time together. Come join in at St. Peter’s on the hilll! 10:15. This entry was posted in St. Peter's Church and tagged Second Sunday of Advent, St. Peter's Church of Coupland Texas on December 7, 2013 by Stewart Dale Spencer.